We have founded ourselves as a recognized manufacturer of Collapsing Tool. We are offering quality collapsing tool. Our company is fully engaged in offering collapsing tool. We are among the most eminent manufacturers and suppliers of Collapsing Tools. It is highly advisable to use these for 16 G and thinner tubes. These are used in collapsing tubes and driving out the collapsed tube from a tube sheet by employing a chipping hammer. Customization can be done in order to satisfy to various requirements of our esteemed clients. Our company is fully dedicated in offering Collapsing Tool. Used to collapse tube ends. - Used to collapsing tools tube and drive out collapsed tube tools from tube sheet with a chipping hammer. - Recommended for use on 16G and thinner collapsing tools tubes. 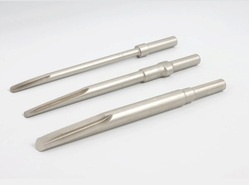 - Available on 01 and 06 shanks as standard collapsing tools. - Suffix model number with shank number when ordering. We are one of the best manufacturer of Collapsing Tool. 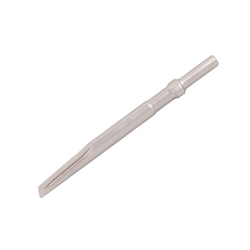 We have been able to offer our clients a qualitative range of Collapsing Tool. We are a leading exporter of Collapsing Tool.